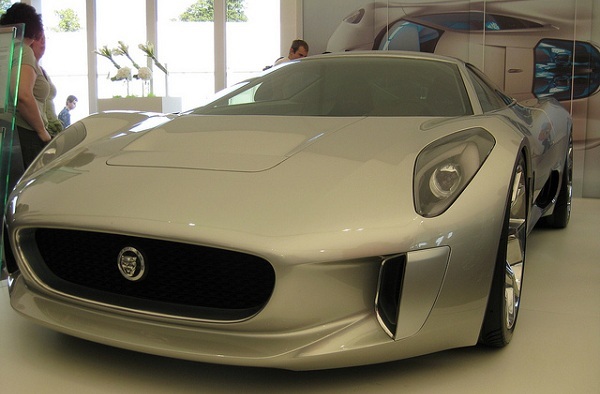 While Jaguar officials are not confirming on the reports, but there are hints that the cancelled Jaguar C-X75 hybrid supercar will be used in the next upcoming James Bond flick “Spectre” for the villain. The all new supercar will be making its screen debut along with the Aston Martin DB10 that will be driven by the title character. So far individuals that have been working on the car project have mentioned that they are working on the car to make it suitable for filming. Although, details are still behind the curtains, but it is believed that the new C-X75 will get the Jaguar’s supercharged 5.0 liter V8 engine that will use the current hybrid powertrain. Many of the earlier villains in James Bond movies have driven Jaguars and this also suits well with Jaguar’s Good to be Bad campaign which is at the forefront of the launch of the F-Type Coupe that showcases many British actors playing villains in the past James Bond movies.